Lucite Cubed Chest…when you want to “show-off” what you’re storing! The orchid is a symbol of beauty, love and luxury. This wall art has been among the furnishings at the Golden Globe Awards and featured in high-end magazines….stunning! Lead crystal candle holders. Polished crystal blocks make an impressive sculptural statement. LED Pendant in silverleaf finish with polished stainless steel accents. Hand crafted aluminum. Happy Mother’s Day from Sandella Custom Homes & Interiors! Not sure what to buy mom for Mother’s Day? Show your mom the appreciation she truly deserves by giving her the Gift of Design. A Design Consultation would be the perfect gift for any mom. Whether it’s just putting the finishing touches to a room, a new window treatment or a complete room remodel we can help her create the perfect space. Please email cheryl@sandella.net with Mother’s Day in the subject line. I will reply and we can discuss the perfect design plan for your special someone. We’ll send her a design voucher with all the details. 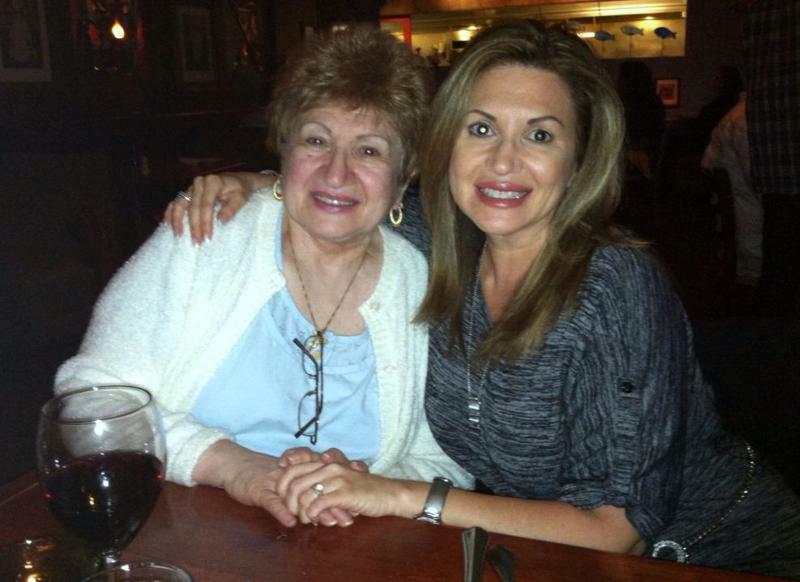 Me & Mom at dinner last month. I love you mom! Wishing All Moms A Wonderful Mother’s Day! THE WORLD’S RUNWAY FOR HOME FASHION! you’ll soon be seeing gray on cabinetry, furniture and fabrics. called “bleached wood” now and it’s not the pink color – it’s gray this time around. are popular now…you’ll see them with a wider weave, fused with silk and flannel. it’s back – more beautiful than ever! contemporary is still popular…smaller and lower. Add panache to your decor with an Art Deco inspired chest – Macassar and anthracite shagreen (leather) drawers. Mid-Century meets Africa-vibe…Argentinean walnut nesting tables with shagreen drawers and accents. even dog houses are trimmed with nailheads! plum painted side table – plum is a great color…it works with so many other colors while adding depth, warmth and “pop” to a room. Lucite is making a comeback too! These are just a few things highlighted from the High Point Market, 2012. You can expect to see these things and more soon….contact Sandella Custom Interiors for more information. Step One: Chose the Correct Style. If your style is Tuscan choose a chandelier that’s ornate iron or crystal. If your style is Contemporary choose a style that has less ornamentation, clean lines and sleek finishes. If you want to hang the chandelier in the center of a room. Measure the room’s length and width in feet and then add them together. For example, a 12′ x 16′ room would use a 28″ dia chandelier. Make sure the fixture doesn’t hang lower than 7 ft from the floor. Step Three: Illumination. It’s important to have the correct amount of wattage. So what you’ll need to do is multiply the length and width of the room in feet. For example, a 12′ x 16′ room equals 192′. Take 192 and then multiply it by 1.5 = 288. 288 watts is the the total illumination needed for that room. It’s approximately eight (8) 40 watt bulbs. I recommend installing a dimmer switch so you can lower the amount of light to create an ambiance. Step Four: Buying Bulbs. Buy clear bulbs to add sparkle, frosted bulbs to add a glow. Try colored bulbs such as pink for a warm rosy glow. For me chandeliers are a must when I decorate a room…they’re like jewelry for an outfit. They are so versatile, available in many sizes, styles and finishes. Add some Glam and Glitz to your room! MARBLE QUARRY, GALWAY COUNTRY, IRELAND – AMAZING!!! ROUND TILE BACKSPLASH – FUN! The color green signifies life, growth, renewal and health. It’s a color widely used to represent nature and our environment. It’s the color of balance and stability. It’s restful and calming but it can also be used negatively…green with envy or the green-eyed monster. It can have both a warm and cool effect when using it to decorate a room. There are many shades of green and use several shades together for a fresh feel. 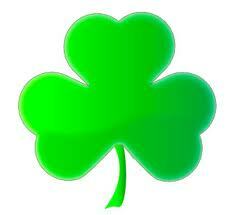 Green is commonly associated with St Patrick’s Day. You are currently browsing the archives for the Decorate category.